When watering my herbs yesterday, I tip pruned my basil plants. 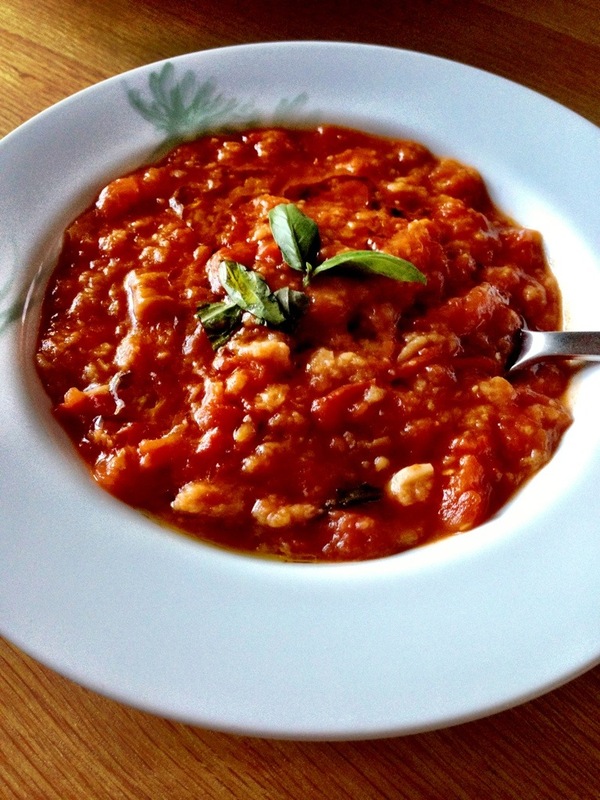 It was the heady aroma of basil that made me crave then and there my comfort food – a rustic Italian tomato soup. This recipe is one that was given to me verbally by my twin sister. We do not have set measures for the ingredients, rather we make it by taste and consistency. The recipe starts with some sliced sourdough. 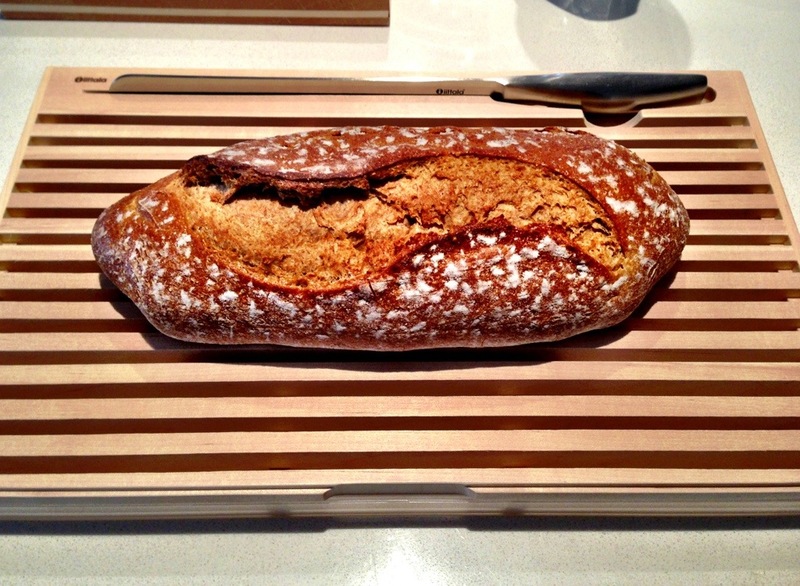 This gave me an excuse to un-box and use my fancy new ittalia bread board that my sister also gave me! 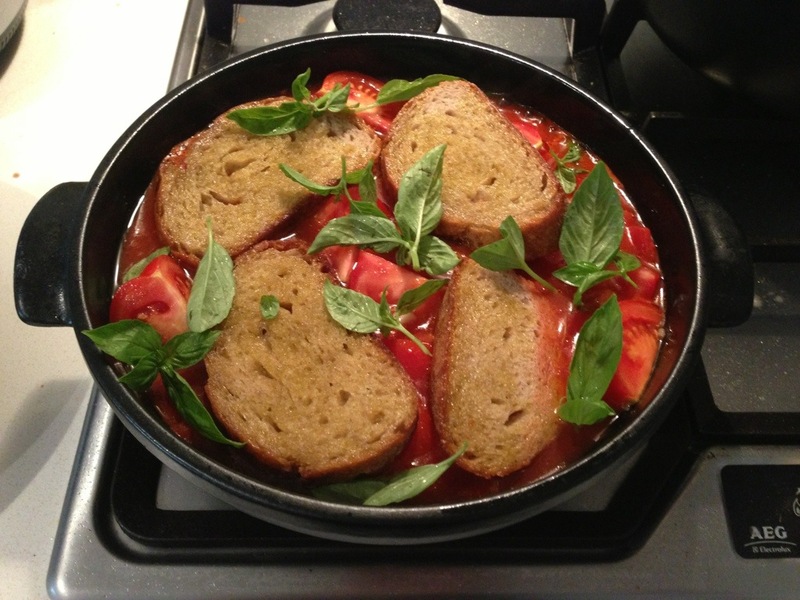 I make this recipe in clay Emile Henry pots on the stovetop. First, fry the bread with garlic in plenty of olive oil. Then remove the bread and set aside until later. After this stage, some more oil may be required in the pot. 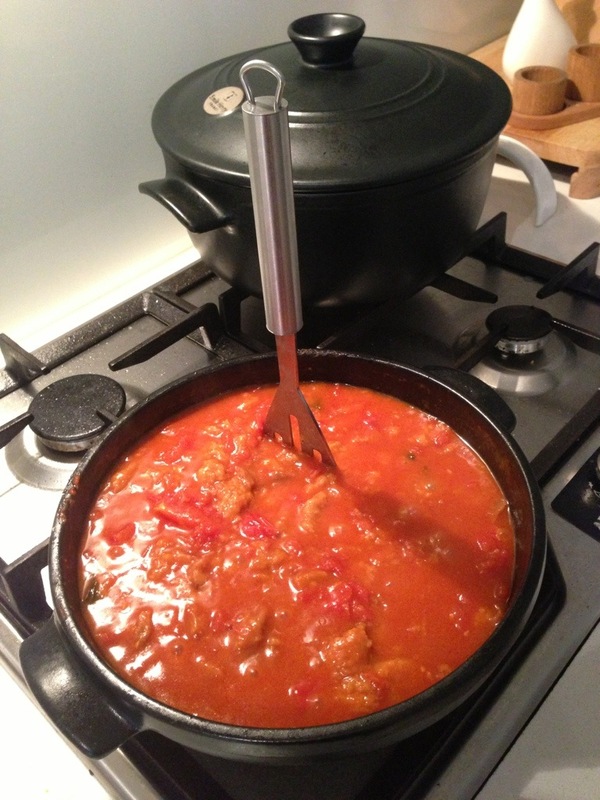 Then simply add chopped truss tomatoes, a tin or two of crushed tomatoes, chicken stock and plenty of salt. Stir and then add the fried bread and some basil. Place the lid on and cook over low heat for about twenty minutes. It will need the occasional stir and when the tomatoes are nicely softened, roughly mash the soup. To serve, simply add a drizzle of quality olive oil and a sprig of basil. That looks wonderfully delicious! Awesome dish to warm you up. « It’s beginning to feel a bit like Christmas!